For the guys: Are you wearing shoes without socks? 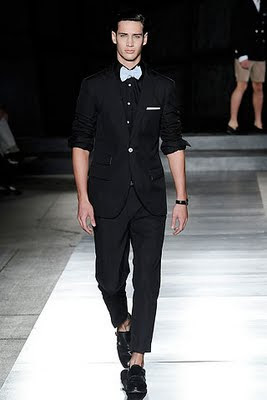 Another runway trend that seems to be on the upswing is that of the guys going sockless..
What are your views boys? Only thing I hope you make sure is how to keep your feet from stinking. As long as you know how to do that, and it suits your look, march away!